Ask your child or the teacher the topic/unit they are learning in class and be part of it! If your child is learning about food, it might be a good opportunity to cook a dish from a country where the foreign language is spoken and go over food items in the foreign language with your child! Encourage your child to practice with you at home. 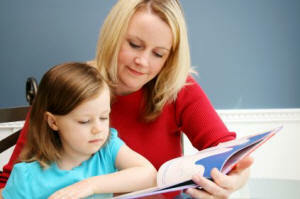 Let your child read or speak to you in the language and perhaps, let your child teach you some foreign language. Do not focus on the pronunciation or getting it right at first … practice makes perfect! – Be creative and try to come up with a game to learn vocabulary words or to remember a tricky pronunciation. Expose your child to people from varied language and cultural backgrounds. Speak positively about the value of learning a second language. pal is a great way to practice the language and exert some independence. Having a pen pal abroad is a great way to learn about culture in another country and appreciate the differences in lifestyle, e.g. school, food, holidays, hobbies, etc. Remember: As a parent, you are your child’s first and most important teacher. When parents and families are involved in their children’s learning of a foreign language, the children do better and have better feelings about their foreign language study. 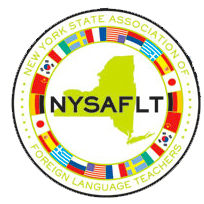 NYSAFLT would love to hear from parents and share with others different strategies you may use at home with your child’s study of a foreign language. WANT TO KNOW MORE ABOUT WHAT YOU CAN DO TO HELP YOUR CHILD WITH FOREIGN LANGUAGE LEARNING?